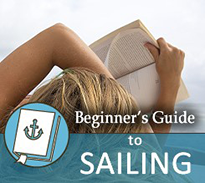 While you won’t be able to sail the boat just by reading this manual, it will get your memory going as to what should happen and when. You don’t tie a bowline knot every day in the office and if you haven’t been afloat for a year or more you may just need your memory jogging. Equally in order to go through the wind on a tack there is a defined process that if not followed correctly could get you stuck head to wind or in worst case, get someone injured from forgetting to keep their hands away from the winch.